Emulsifying Ointment can be used as an emollient in the management of dry skin conditions and as a soap substitute. 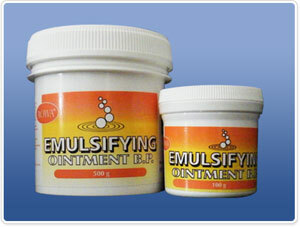 Emulsifying Ointment is available in 500g & 100g Tubs. Always read the label.